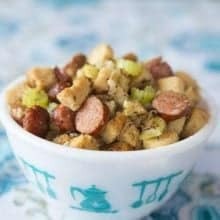 This Apple Sausage Crock Pot Stuffing is one of the best dressings I have ever made! Not only that, I am so darn proud of myself. I have been writing here on The Kitchen Magpie for almost 6 years now and this is the first time that I am getting you a stuffing recipe in time for Christmas! 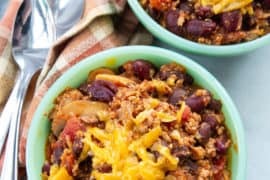 I actually discovered the joy and ease of crock pot stuffing last Christmas, but with us leaving Edmonton immediately after the big family day to head to Arizona, I didn’t even take photos. 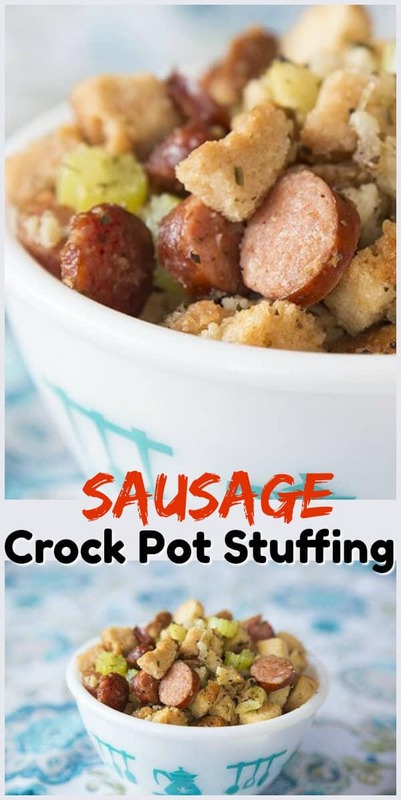 Crock pot stuffing is your saviour. I love that you put it into the crock pot in the morning and by the time your turkey is ready, your stuffing is as well. I don’t stuff my turkeys, I prefer to make the stuffing on the side. 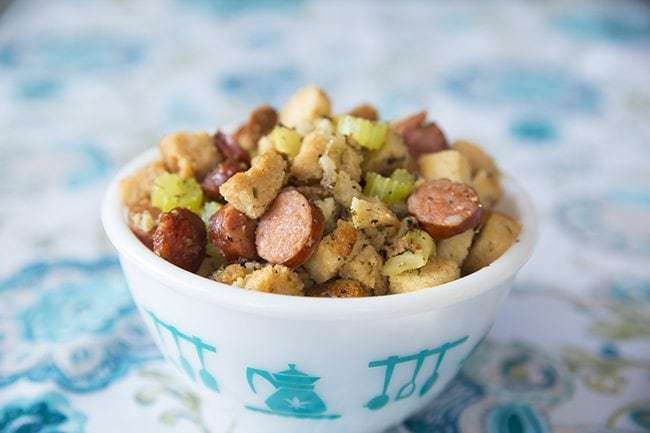 This is my second recipe using Johnsonville Sausage and I’ve decided to swap it into my stuffing. I decided that the pre-cooked Andouille Sausage was the perfect time -saver for this crock pot delight. 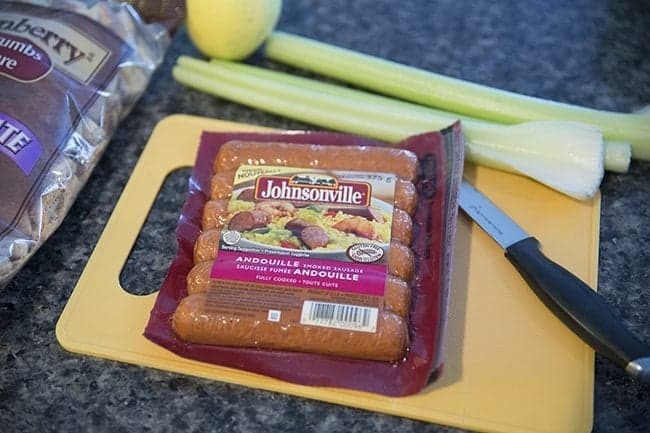 You simply chop up the Johnsonville sausage and throw it into the crock pot, no frying required! 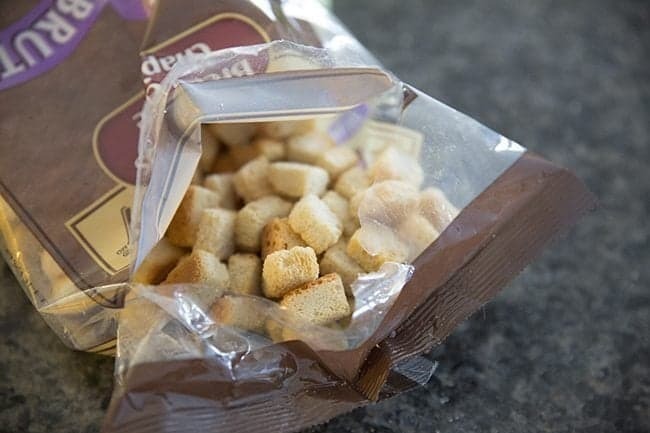 Another time-saving trick I like to use is buying bags of croutons to use. They work better in the crock pot as homemade bread cubes sometimes aren’t as dry. You need really dried out bread cubes for a crock pot stuffing. 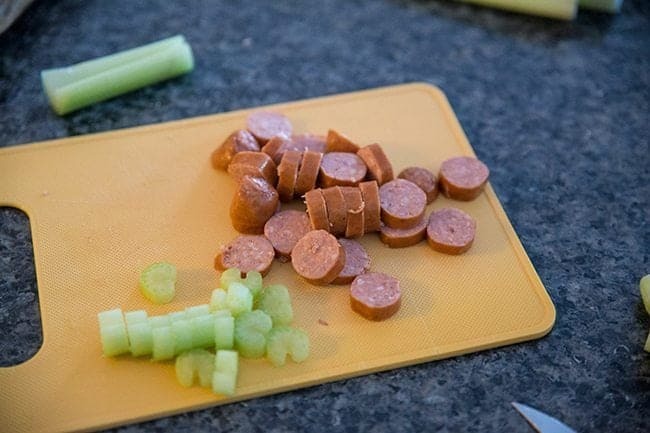 You simply fry up the onions and celery with the spices, throw it into the crock pot with the other ingredients and voila! 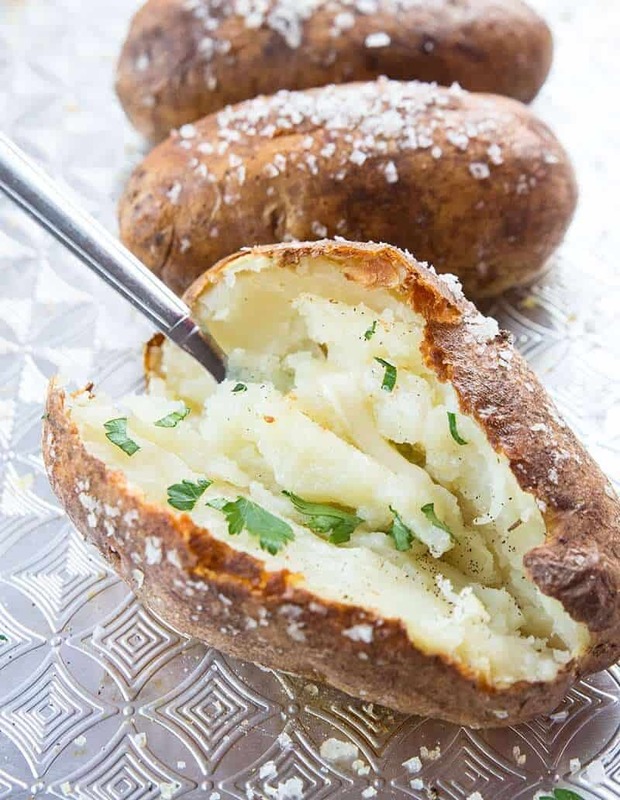 You will have an amazing hot stuffing ready to go. It works, you guys. It really, really works. All you have to do is start this five hours before you want to serve it and it will be ready in time for dinner. IF you don’t stir it, you will have a great textures stuffing, no mush. So my second swap of using Johnsonville Sausage in a regular recipe of mine is another complete success. I am going to use the pre-cooked sausage from now on as it cuts your time by a good 10 minutes when prepping this. 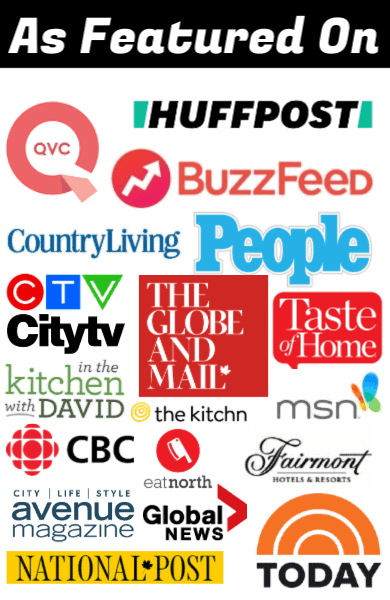 We need ev every single spare minute that we can get when it comes down to holiday cooking! 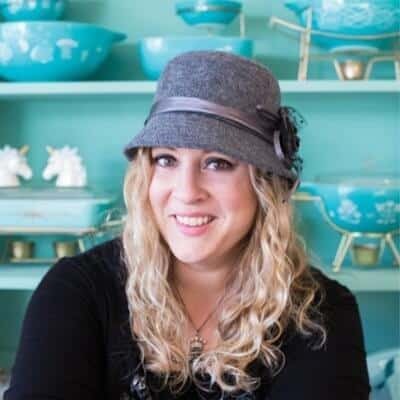 PIN THIS RECIPE to your SIDE DISHES RECIPES Boards and Remember to FOLLOW ME ON PINTEREST! 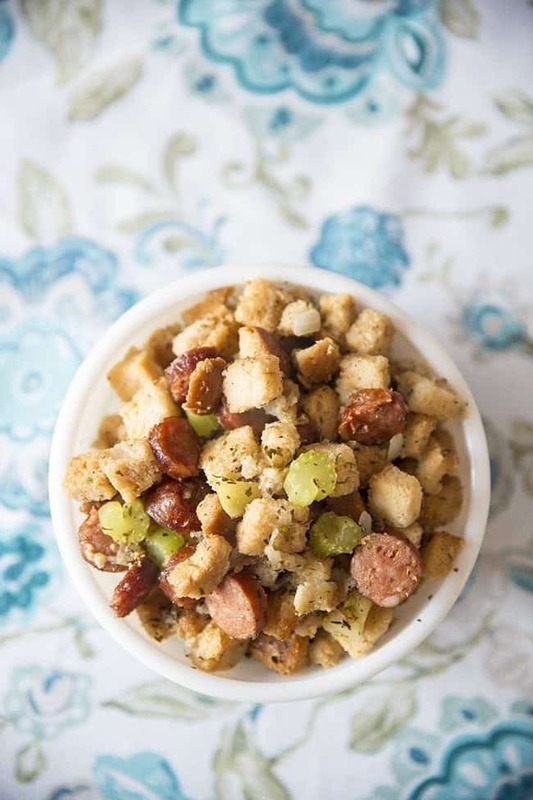 This delicious and easy Apple and Sausage Crock Pot Stuffing is perfect for your holiday meal or Sunday dinner! Grease a large 6 Qt/ 5.6 L s crockpot with 2-3 tbsp butter and set aside. Place dried bread cubes in a very large bowl - my largest tupperware bowl did the trick. Chop up the sausage and place in with the bread cubes. Cook the onions over medium heat in a large skillet in the two tbsp of butter until evenly cooked. Add the celery, poultry seasoning, rosemary and parsley and cook for 4-5 minutes until the celery starts to soften. Pour the onion mixture over the bread cubes in bowl. 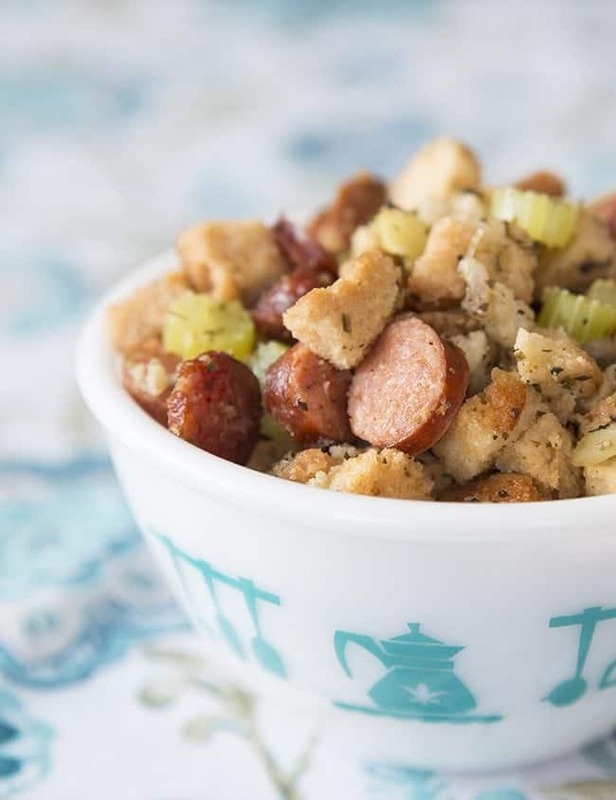 Mix in chopped apple..
Pour the chicken stock over the bread and toss the stuffing in the bowl, over and over until the stuffing is coasted and mixed. Try not to stir if possible. 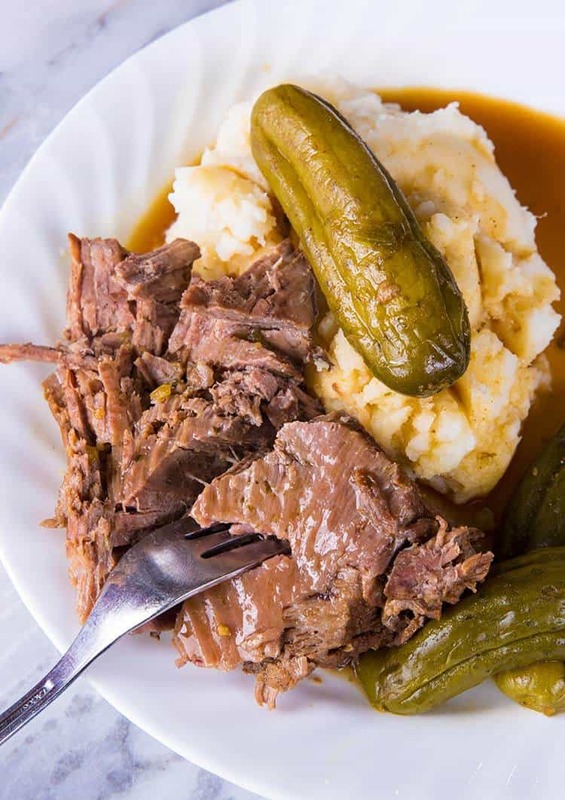 Place into the greased crockpot. Cook on low for 5 hours. This was perfect, thanks! I will definitely be serving this at Christmas. Yum! My mom always puts apples in her stuffing and I love it and the slow cooker is absolutely the way to go. Thanks for the great recipe, everyone loved it and wanted the recipe! THat makes it a five stars! 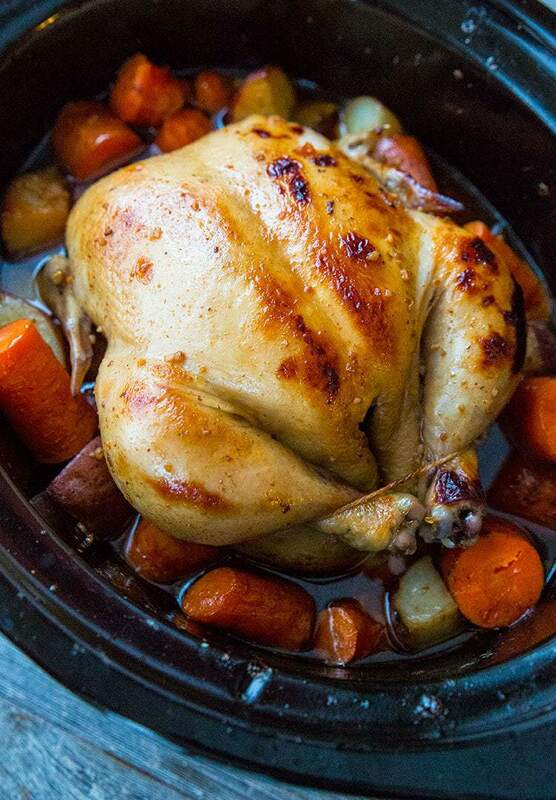 KitchenMagpie I’d eat that straight out of the crockpot!